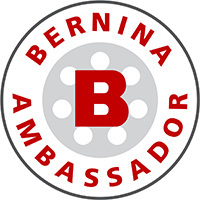 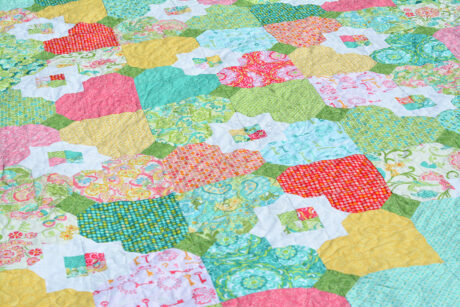 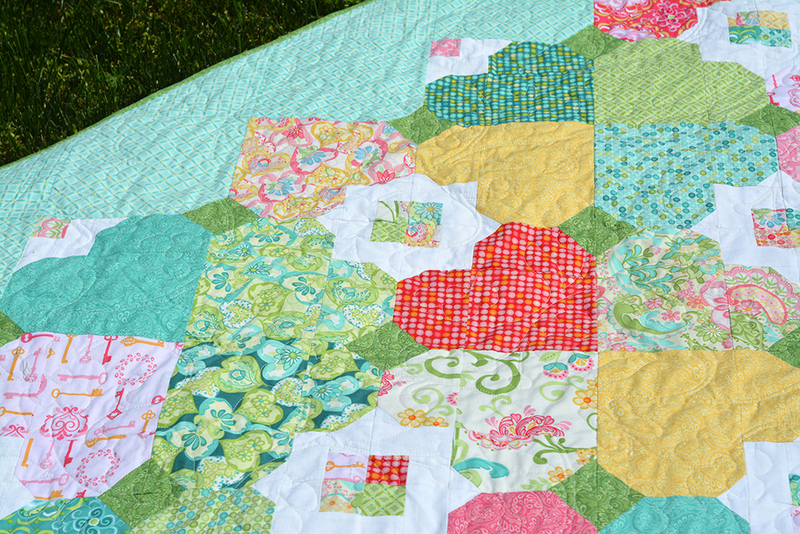 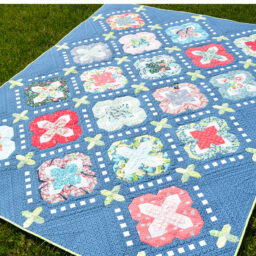 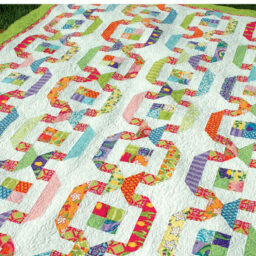 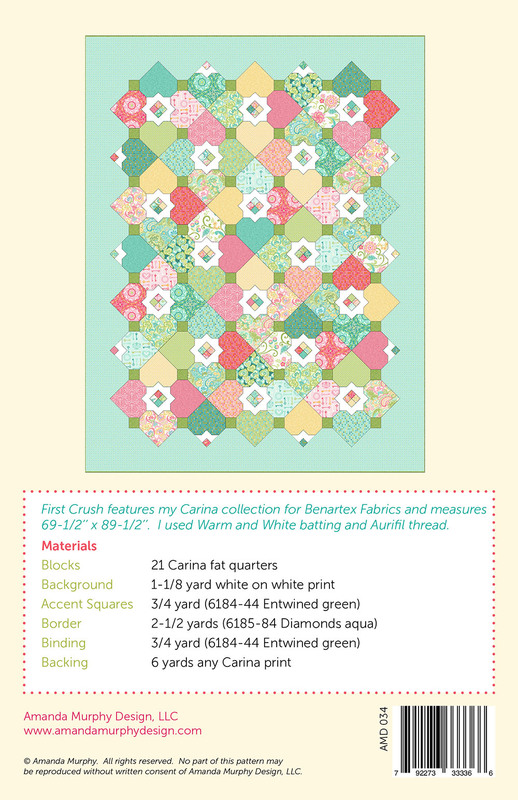 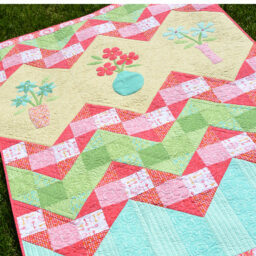 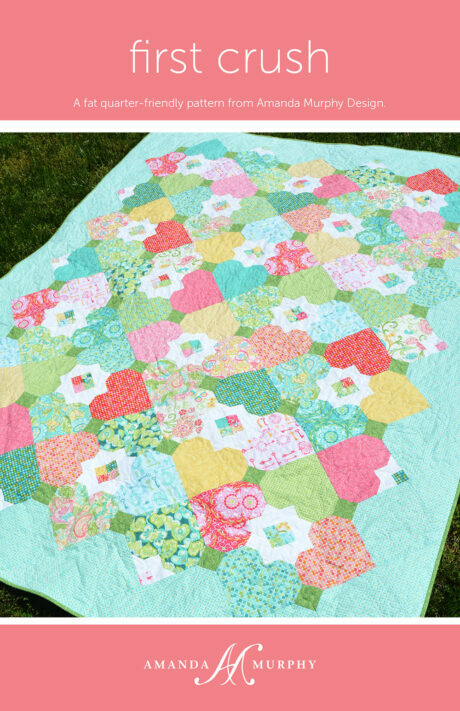 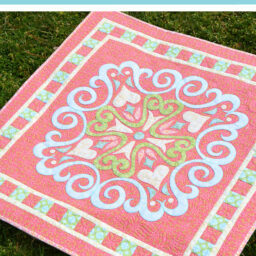 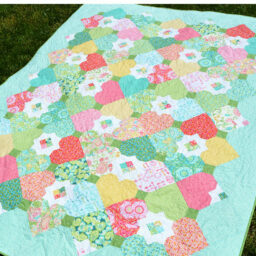 First Crush is Amanda’s fat-quarter friendly pattern twin-sized quilt designed for her Carina collection for Benartex. Although it looks tricky, it is actually a simpler 1-block quilt! 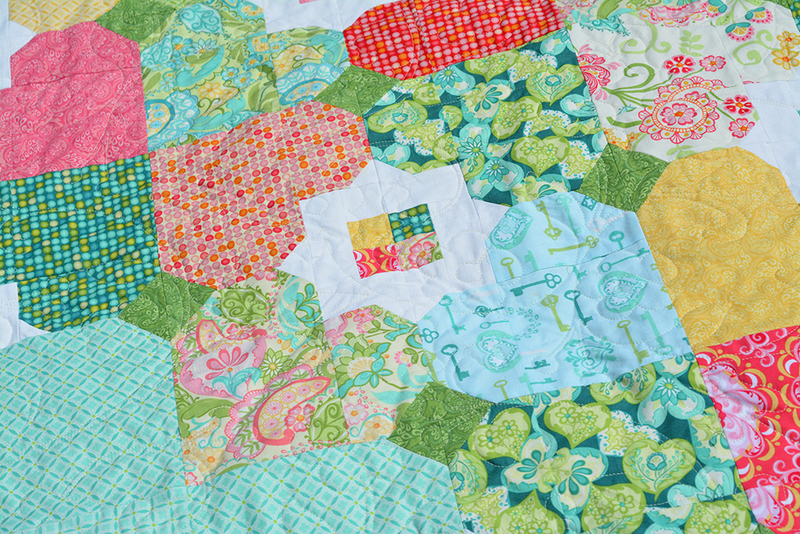 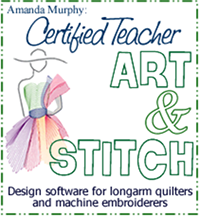 21 fat quarters plus border and accent fabric are required to complete the project.